Our popular All Breed Dog and Pet Boarding Kennels, Cattery and Grooming Shop are located within the security of three acres. Family owned and operated for over 30 years, our air conditioned and heated facility is enhanced by the beautiful and mild climate of Southern California. We are proud of our Indoor/Outdoor Boarding Facility. We have a staff of animal lovers who work hard with us to ensure that each of your pets has a safe, secure stay. We believe that your pets should also enjoy their visit, so all animals participate in three private or group play periods daily. Each family of dogs romps, plays and explores in our large grassy exercise areas. When not out playing each pet has a private indoor/outdoor covered kennel. The play and exercise times are included in our basic rate. There is an owner, staff person or manager on the property at all times. We have the best rates in town !! Please contact us at 951-685-2561 so that we may answer any additional questions that you might have. Country Place Kennels is located fifteen minutes from the Ontario International Airport; near the 15 and 60 freeways in Mira Loma, Riverside County, California. 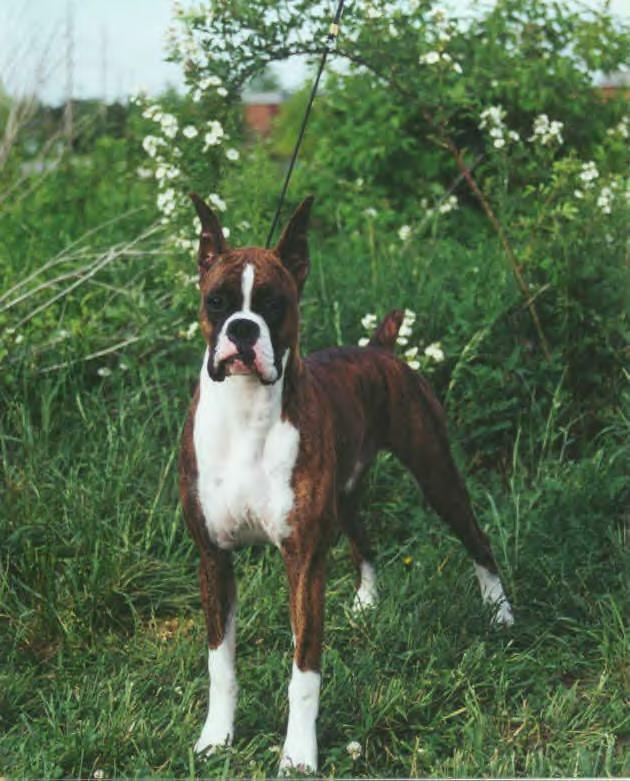 We have Champion Stud Service on request and for the most loving boxer home the occasional boxer puppy. For boxer puppies and Stud service you can reach me at my cell number 951-218-0756 or business number 951-685-2561.